Over the past few years I’ve taken quite a few courses. Some have completely changed my business and income in powerful ways. After witnessing firsthand the motivation and direction that a course can provide I feel like they are one of the best ways to fast-track a home based business. I also believe that as a home based business owner and ultimately, as a person, investing in yourself is one of the smartest things you can do for your career, personal growth and income. If you’ve been wanting to invest in yourself and more specifically, invest in an online career, here are the courses I feel 100% confident suggesting. The creators of these courses not only talk the talk, they walk the walk. The material in these courses has been field tested and the creators learned from trial and error so that you don’t have to. I took Elite Blog Academy when it first opened up in November of 2014. Since taking the course my blog has experienced exponential growth. 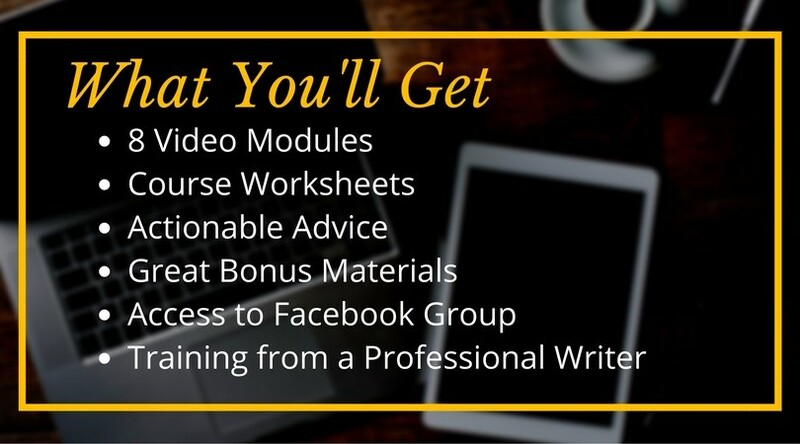 What I love about this course is that it covers, in depth, many different ways to both grow traffic and monetize a blog. I’ve seen other courses put down certain monetization methods and suggest that’s there only “one right way to do things.” (Which is usually creating some sort of product!) Ruth does do not this. She covers earnings from ads, affiliate marketing, email lists, working with brands and creating products. As far as getting blog traffic, EBA was crucial to my growth. About a year after the course my pageviews and income had increased by at least seven-fold, more on some months. Elite Blog Academy covers more than just traffic and monetization. It also covers creating content, organizing your blog, growing an email list and more. EBA is NOT currently open. The doors will probably open sometime in February. Until then you can jump on the waiting list and download Ruth’s free eBook 7 Free Ways to Boost Your Blog Income Over Night. Holly is someone I’ve followed since I started this blog, a little over four years ago. I initially loved her take on money management but quickly became impressed with her work ethic and how quickly she was able to turn writing into a career. Holly is an extremely successful freelance writer earning $225,000+ in a year from writing! She’s landed gigs with many high profile publications like The Wall Street Journal, Forbes, CNN and more. Holly has now created a course called Earn More Writing where she shares her strategies for landing quality freelance writing jobs. There are three choices for the Earn More Writing Course ranging from $149-$349. You can check out more details here. In fact, virtual bookkeepers earn an average of $40,000/year. Ben Robinson, a CPA, has created courses to teach you everything you need to know about bookkeeping and how to grow a successful and profitable bookkeeping business. You can check out all of the bookkeeping course options to see which one best fits you here. You can also check out my interview with Ben here. Last, but certainly not least is a new course developed by Kristin Larsen of Believe in a Budget and Gina Horkey of Horkey Handbook. These ladies have combined their skills to bring you a course on how to become a Pinterest manager. Again these ladies don’t’ just talk the talk, they’ve walked the walk. Gina has been a successful virtual assistant for years and Kristin offers Pinterest management services to blog and small business owners. This course is intended to teach its students how to use Pinterest, best practices, how to find clients and more. The course is not open as of this date but you can join the waiting list here. None of These Courses Will Work Unless You Do!!! If you’re wondering whether taking an online course is worth the money I’ve got your answer: only if you do the work!! 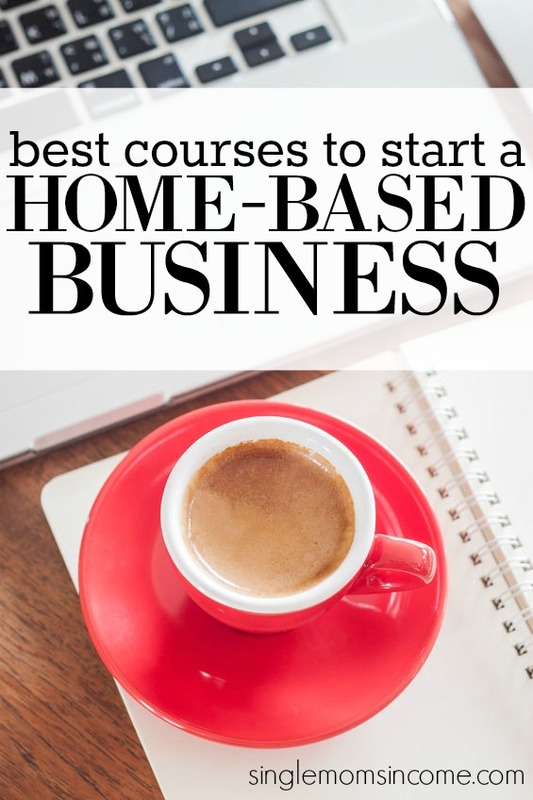 All of these courses will lay out a blueprint for you to start a successful business but they are not get rich quick schemes and the results will not come immediately. These courses are only going to work if you are willing to put in the work. If you take one of these courses I would think of them kind of like getting a degree. You’re only going to be successful if you take the time to implement what you’ve been taught. 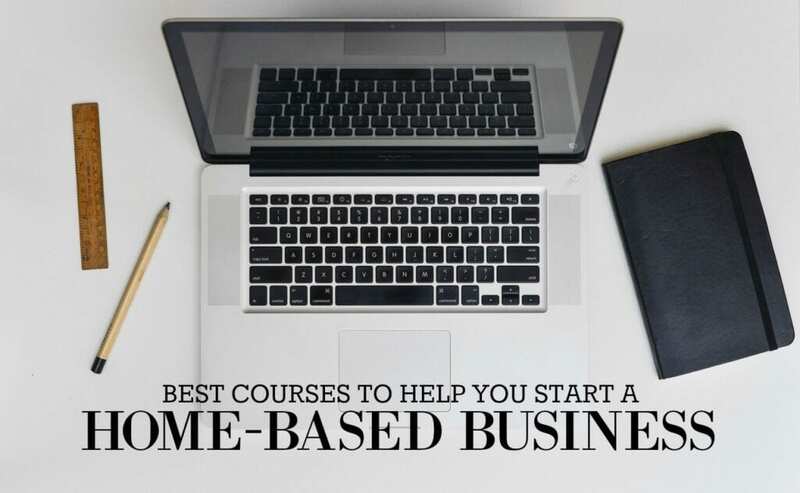 Have you taken a course that really helped your home based business? Blogging and freelancing are really great propositions for work from home aspirants to start their career in it. Also, according to a survey by BLS, currently the transcription industry is booming. It estimates that the requirement of transcriptionists is expected to rise from 6% to 21% between 2010 to 2020. So starting a career in transcription could also be a great option for work from home moms.